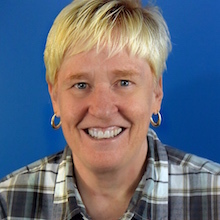 “Using video coaching has allowed us to introduce personalized learning in our professional development program,” said Suzanne Arnold, director of ASPIRE and an assistant clinical professor in the School of Education & Human Development, in an interview. ASPIRE started in the fall of 2013. “At the start, we did the traditional driving all over the state and went into classrooms for about 34 teachers and three [PD] instructors,” Arnold said. 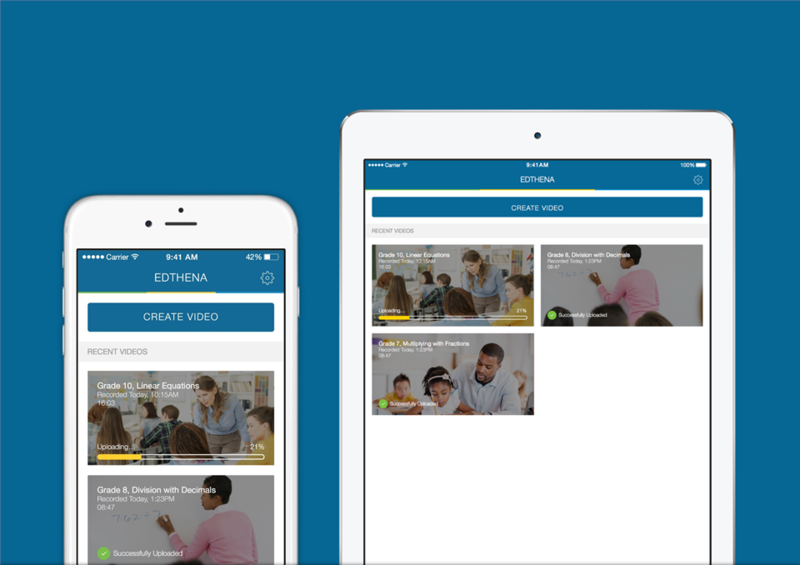 After looking at several options, Arnold choose to pilot Edthena, a platform that lets teachers record themselves in the classroom with any video camera and share it directly with a coach. 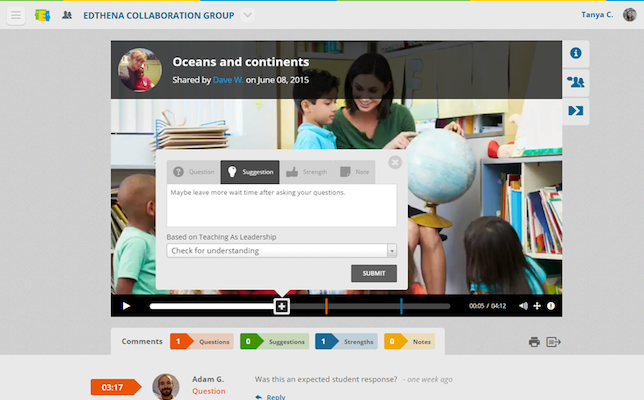 With Edthena, ASPIRE instructors can provide timestamped comments categorized as questions, notes and more. The mobile app is Windows, Mac OS X, iOS and Chrome OS compatible, allowing on-the-go access to the platform. Captioned timestamped comments are linked to teaching frameworks. Image: Edthena. Arnold says that following the switch to video, classroom observations tripled: Coaches went from observing teachers a few times each semester to more than twice per month. 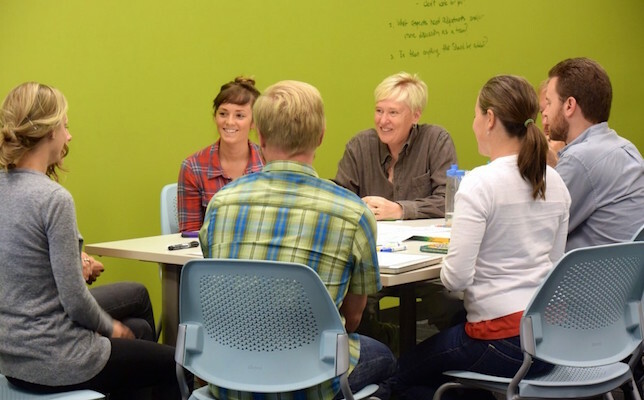 “It’s great because the candidate gets to watch themselves and we can point directly to bits and pieces of the lessons that have been recorded to help deconstruct what was happening and get the teacher to share their [input],” Arnold said. One of the key pieces to introducing video coaching in a setting like this is the trust and relationship between the instructor and teacher, according to Arnold. For ASPIRE, by the second or third week of teaching the teachers are asked to record themselves in the classroom with the same group of students. With that video footage, coaches give teachers feedback, assessing where the teacher is at and what other supports he or she may need. “We work hard on our end to foster those relationships,” she said. It is also a good idea to keep the technical process simple for teachers. Since teachers come into the program with varying degrees of experience using video tools in the classroom, they are encouraged to watch Edthena’s online tutorials. Teachers can record and upload videos from their mobile devices. Image: Edthena. “Most teachers nowadays have a video camera on their laptop or an iPad or iPhone …. We just want them to hit record, stop and upload it [to Edthena]. We don’t want to complicate things for the teacher,” Arnold said.